It was raining in Vienna, so I went to an art museum. The Albertina is housed in one of the half-dozen former Hapsburg palaces scattered around Eastern Austria, and I was drawn there by promises of a Monet & Picasso exhibit, which was a bit dull and weird and not well-laid out at all. But I wandered upstairs and found myself in the middle of a massive (200+ painting!) 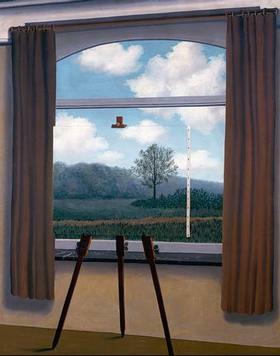 exhibition of the art of René Magritte. The exhibit was amazing. 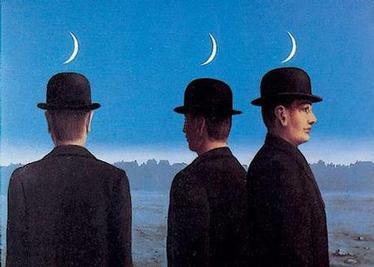 Magritte was transfixed by certain images and objects, and he used them over and over again– apples, bowler hatted anonymous men, mirrors, fragmented body parts, endless horizons, windows, and clouded skies. My favorites (and probably the most disturbing images in the collection) are pieces from a series called The Empire of Light. 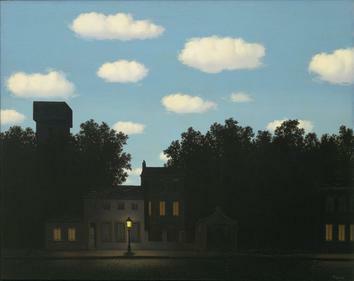 They feature nocturnal street scenes, lit by a single lantern placed beneath the brilliant sunlight of Magritte’s trademark clouds and sky. Unfortunately, these little thumbnails don’t convey the scale of the paintings. The one on the bottom was easily five feet wide, and the contrast between the sunlight pouring in from the blue sky and the dark on the street level was…well, really weird. The Human Condition. 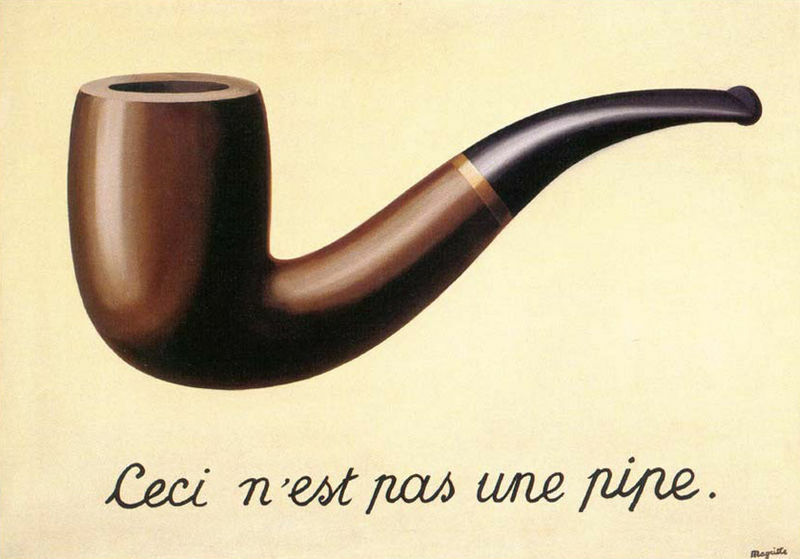 Apparently sometimes Magritte wanted to make a point with his art, and therefore used painting titles with all the subtlety of a sledgehammer. Lucky for us, he was sometimes a great deal more obtuse. This is Mysteries of the Horizon, and I don’t know what it means but I like it. The Tomb of the Wrestlers. 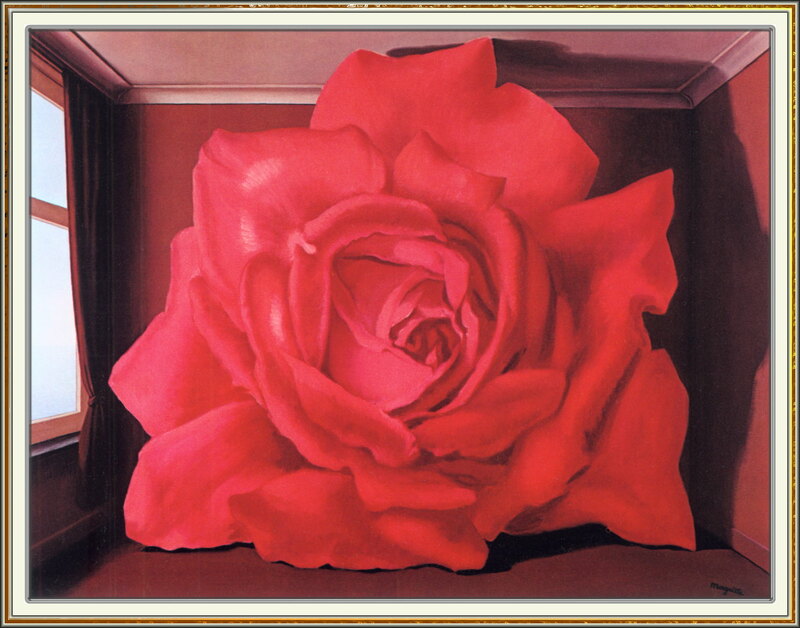 This painting is life-size, or rather, the room in the painting is painted at life-size. The rose would fill a Scripps dorm room. Anyway, it was insane, and beautiful, and reminded me of why I like art museums in the first place. More on Vienna when I can get my photos up. That looks so fun! 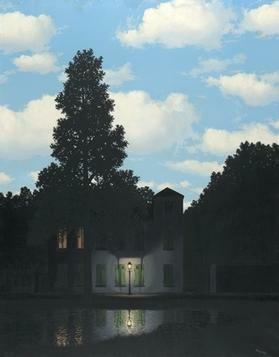 “The Empire of Light” are my favorite Magritte paintings too! It seems perfect that you are doing lots of classy cultural sightseeing in Vienna! I hope you’re also eating lots of pastry. Aah yes, pictures!!! It sounds amazing, I’m glad you had fun! I also hope you drank some delicious coffee there. I think I like the rose one best, but there is something really interesting and haunting about the bright blue skies over the night scenes. It makes them seem so much darker. 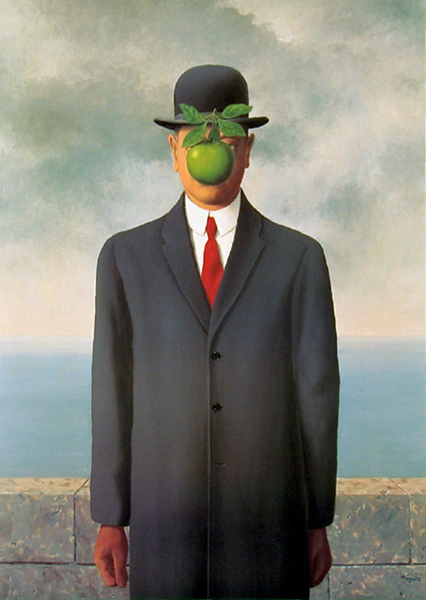 Now I want to visit an art museum! Also, my card should be here in the next few days, so I’ll let you know and the booking of the hostels and flights can begin/ continue! YAY!